There should be benefits that come with any advertising. 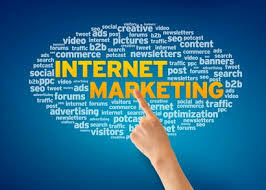 Many feel that there are far more benefits when advertising on the internet. Anyone that has been involved in traditional advertising will be the first to say that this is not cheap. Even running off flyers can be expensive. The internet can be a resource that can help to keep the advertising costs down. But, at the same time, it may require a more hands-on approach by the business owner. Unless they are hiring a professional advertiser. Those that are doing internet advertising have more control. They can drill down their market and then target these consumers. With hard copy advertising, this is often hit and miss. A lot of people end up with the hard copy materials that it is not intended for. Getting feedback on a piece of advertising can be of great value. There is no second guessing whether an advertising campaign has worked or not. With proper analysis of its progress and outcome, it provides critical information. That which can be used for advertising campaigns going forward. One it has been identified that an advertising campaign has been successful it can be followed up. Additional campaigns can be developed to keep the interest going. Another benefit of using the internet for advertising is the many choices of platforms that are available. There are different social media applications that can be taken advantage of. This allows for an effective way of being able to test the advertising materials. Over time it will help to determine which platforms are the best. Also, which type of advertising media works the best. The benefit of all of this is that much of it can be done by the business owner. In most cases, it takes more time than money.